Traveling can be a nice break in routine. It can also change your life. 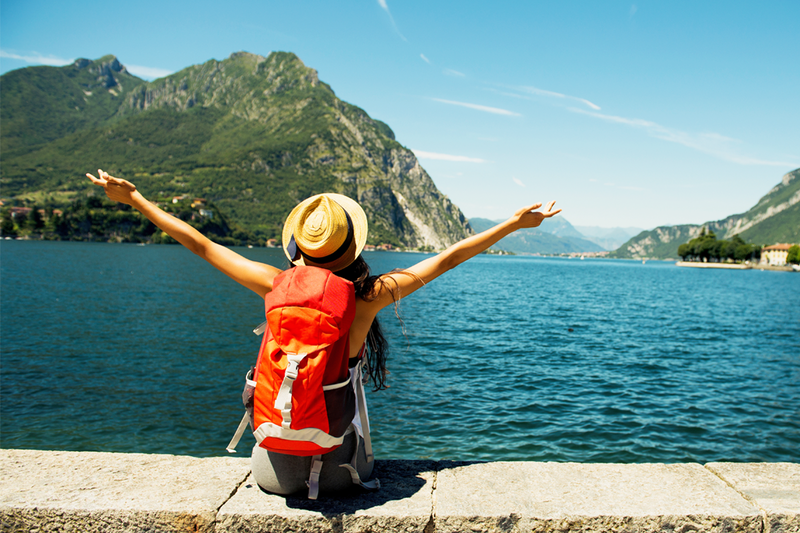 From Cheryl Strayed’s bestseller Wild to Elizabeth Gilbert’s hugely successful Eat Pray Love, there is no shortage of personal accounts of how traveling alone can be life-transforming. Yet while every traveler’s journey is unique, is it possible to draw general life lessons from the travel experience? During his month-long hike along the ancient pilgrimage trail El Camino de Santiago in Spain, leadership consultant Victor Prince found that his experiences, along with those of over 100 fellow travelers he interviewed, offer life lessons that are applicable to everyone. is one of the seven “Camino Leadership Lessons” in his book The Camino Way, that he describes. The same way Prince broke up his daunting 100-mile journey into daily sections, leaders are most effective by setting an achievable goal for each day. Meanwhile, Prince advises, celebrate the little achievements that move you forward on your larger journey: a cup of coffee tastes so much better after getting in those first miles of your day hike – or after completing your early morning tasks at the office! Other leadership lessons that Prince shares involve the people with whom you share your (life’s) journey. While hiking the El Camino de Santiago trail, Prince observed three locals pointing a group of pilgrims into the right direction after they were about to take a wrong turn. This experience reminded Prince that you must never be afraid of accepting the help of others – even if you are in a leadership position. The fact that pilgrims have hiked the El Camino de Santiago trail for over 1,000 years humbled Prince and reminded him of another lesson that applies to leaders: Learn from people who have done similar jobs before you and let them inspire you! If a trip to Spain is not in the cards for you, take heart: you can bring a traveler’s mindset with you wherever you go – even if it’s just a trip to the water cooler.